Our Kindergarten classes did a food can drive as part of their Project-Based Learning Unit. Click here to hear the shout out from a local radio station. The California Department of Education (CDE) has changed the way it funds public education. The funding system is called the Local Control Funding Formula (LCFF). A Local Control Accountability Plan (LCAP) is developed using the LCFF funds based on the needs of students and families in our schools. Additional funding is allocated to districts who have students that meet the criteria of being an English learner, Foster Youth, and/or Socio-Economically Disadvantaged. To receive these additional funds our district must be able to identify if your child meets one or more of the above criteria. These funds will be used to provide additional support to our schools for things such as promoting safer schools, offering students increased opportunities to be college and career ready, as well as increased parent training opportunities. So we need your help! Please complete the online form by clicking on the following link https://LCFF.stocktonusd.net. This form is very important to your child's school receiving the appropriate funding based on the information you provide. If you need assistance filling out the form, feel free to call your child's school. The information submitted on the form is a confidential educational record and is therefore protected by all relevant federal and state privacy laws that pertain to educational records. 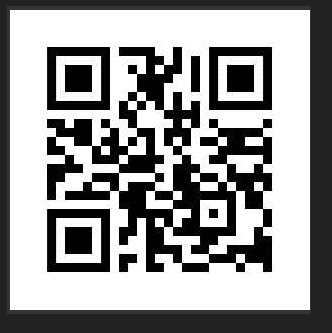 Scan this QR code with your cellphone to go directly to the website to complete the AIF online. Get your Nightingale apparel here!